In 1964, Joan Didion bemoaned the state of the Hollywood film industry in her essay “I Can’t Get That Monster Out of My Mind.” Frustrated by the cacophony of voices and visions in motion pictures, she compared it to the literary industry. “I think we should all agree that a novel is nothing if it is not the expression of an individual voice, of a single view of experience — and how many good or even interesting novels, of the thousands published, appear each year?” Didion wrote. The publishing industry has only expanded since then. Numbers vary by the publication reporting them, but the International Publishers’ Association put the number of books published in the United States in 2013 at a little over 300,000. It’s a lot to read, or at least wade through, and that’s exactly what Sherra Babcock’s job entails at Chautauqua Institution. As vice president and Emily and Richard Smucker Chair for Education, Babcock is responsible for picking at least nine books for the Chautauqua Literary and Scientific Circle each summer. It’s an enormous task, but Babcock and her colleagues managed to curate a list of 11 distinctive works for the 2017 season. The CLSC is organized under a vertical theme each year, which is meant to help readers connect the books with a uniting element. This year’s theme is “Community,” a choice Babcock felt was apt for this point in the Institution’s history. Babcock said the rebuilt Amphitheater created a lot of questions about the future of Chautauqua Institution last year, which she said made the community feel more fragile. 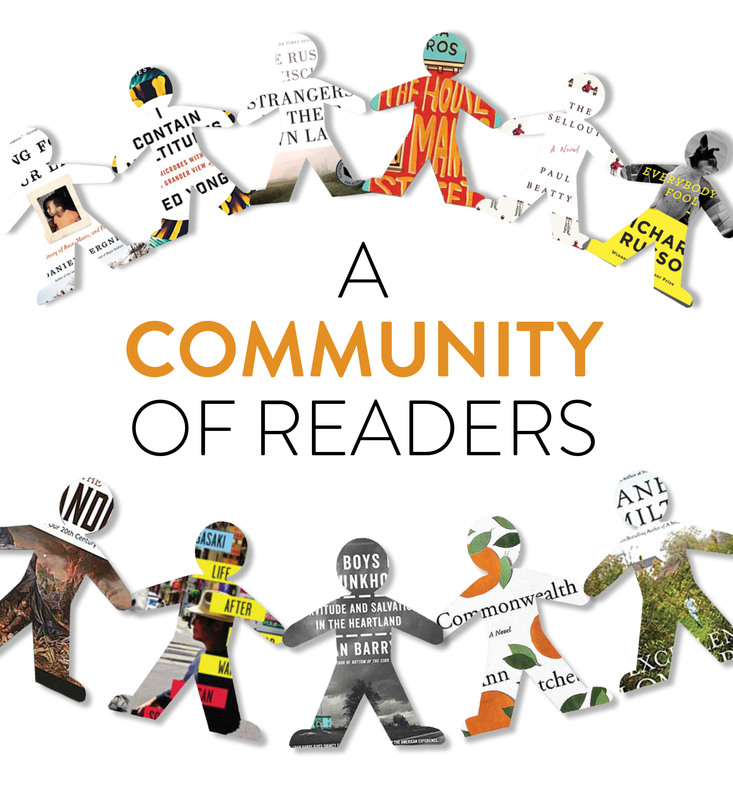 She thought emphasizing the theme with the CLSC selections could help the community reconnect around a shared activity: reading. “We can come together around books,” Babcock said. This year’s crop of CLSC authors is largely new to Chautauqua, with the only returnees being Ann Patchett and William Heyen. Patchett visited in 2016 as a part of Week One’s “Roger Rosenblatt & Friends: On Creative Expression” programming, while Heyen visited as a CLSC author in 2010. He also taught at the Chautauqua Writers’ Center and Writers’ Festival. 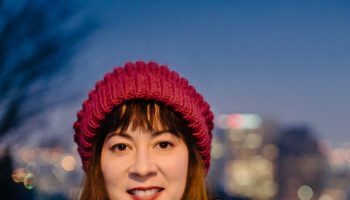 Ed Yong, a science writer for The Atlantic, will visit in Week Two with I Contain Multitudes: The Microbes Within Us and a Grander View of Life, which Babcock said offers a “microscopic view” of the theme of community. 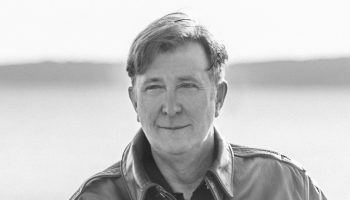 “The intersection of science and literature was just perfect for Chautauqua,” Babcock said. Weeks Three and Four offer CLSC selections that feel timelier than ever in America’s charged political climate. Arlie Russell Hochschild will visit in Week Three with Strangers in Their Own Land: Anger and Mourning on the American Right, while Sandra Cisneros will visit in Week Four with The House on Mango Street. Babcock said there are a few recent books like Hochschild’s that address similar themes — books she also considered for the CLSC — but she found that Strangers in Their Own Land did what those other books set out to do in a more insightful way. She said Hochschild’s balanced approach allows the reader to respect where her subjects are coming from, even if they may disagree. Hochschild’s book offers a timely take on political thought, but Babcock believes The House on Mango Street opened a unique window for Week Four’s theme of “Geopolitics Today.” While Babcock and her colleagues usually seek out recent books for the CLSC, she thought The House on Mango Street would be a good classic selection for the season. Past classic selections for the CLSC include books such as Fyodor Dostoevsky’s Crime and Punishment and Margaret Atwood’s The Handmaid’s Tale. 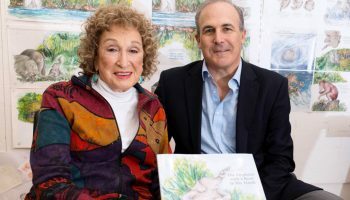 Babcock said The House on Mango Street has been a formative text for her, and she believes it allows readers of all ages into its world in a way that can increase understanding. Readers at Chautauqua might not know much they want — or need — to read it, Babcock said. “It’s a classic book, but it’s also one everybody should be reading now,” Babcock said. Babcock found another unexpected angle for the CLSC with the choice for Week Five. The week’s theme is “The Supreme Court: At a Tipping Point?,” and Babcock said she was surprised by how perfectly Paul Beatty’s The Sellout fit into the programming for the week. Ron Charles, editor of The Washington Post’s “Book World,” recommended Beatty’s Man Booker Prize-winning novel to her. Charles will interview Beatty for the presentation. Beatty’s novel has a direct connection to the theme of Week Five: it begins in the Supreme Court with a black man being tried for owning slaves. “It spins off from there, and never quits spinning,” Babcock said. Week Six will bring Richard Russo, an author Babcock has long had in mind for the CLSC. Russo’s novel Everybody’s Fool felt like a good match for Chautauquans, Babcock said, because they will understand the dynamics of the story’s small-town setting. 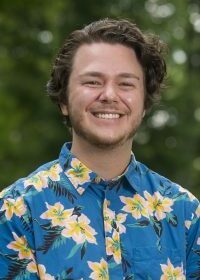 “It feels like the kind of community Chautauqua would be if it were a year-round community,” Babcock said. Week Seven offers two selections: William Heyen’s The Candle: Poems of Our 20th Century Holocausts and Susan Southard’s Nagasaki: Life After Nuclear War. Heyen visited with his poetry collection A Poetics of Hiroshima as part of the CLSC Roundtable in 2010, and Southard was a finalist for the 2016 Chautauqua Prize. Babcock believes both books offered opportunities to talk about Week Seven’s theme of “The Nature of Fear.” She said The Candle is a good retrospective of Heyen’s work and an examination of guilt, while Nagasaki offers a message of resilience. New York Times columnist Dan Barry will visit in Week Eight with The Boys in the Bunkhouse: Servitude and Salvation in the Heartland. In a week focused on “Media and the News: Ethics in the Digital Age,” Babcock said Barry’s book speaks to the power of the media to make one aware of people and places they might never find on their own. The final week of the 2017 season also features two authors: Ann Patchett and Jane Hamilton. The two authors and friends will discuss their novels Commonwealth and The Excellent Lombards, respectively. Babcock said she had Commonwealth in mind from the moment she met Ann Patchett last summer. Patchett gave her the galleys for her new novel and Babcock was able to read it during the season. “For me to be able to read a book during the summer and get something out of it is amazing,” Babcock said. 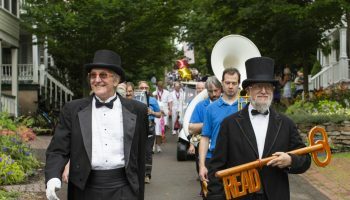 Babcock hopes readers will indulge themselves and take risks with their reading this year, just as she and her colleagues did while planning this season’s CLSC programming. Babcock felt a little more emboldened to take those risks this year, since this will be her final season in her role as vice president and Emily and Richard Smucker Chair for Education. After 10 years and 11 seasons at Chautauqua Institution, Babcock will retire. She’s not just cutting and running, however. Babcock said she looks forward to getting feedback on this year’s CLSC selections. Babcock said she’s “overwhelmingly thrilled” by the direction the literary arts will take under President Michael E. Hill and her successors. She said Hill’s vision for the future has helped her see the value in the work she’s done over the years. “It’s not leaving with me,” Babcock said. She also has a vision for her own literary future. Daniel Bergner tells the story of Ryan Speedo Green, a young man who went from a juvenile facility to winning a contest hosted by New York’s Metropolitan Opera. The Atlantic science writer Ed Yong explores the world of microbes, the tiny parts that make up the larger, interconnected and interdependent world. Sociologist Arlie Russell Hochschild examines a small slice of conservative America and links its people and issues to the national political climate. Sandra Cisneros tells the story of Esperanza Cordero, a Latina teenager growing up in Chicago, in a series of interconnected vignettes. Paul Beatty, the first American to win the Man Booker Prize for Fiction, spins a twisted tale about a black man’s willing reinstatement of slavery and the pain and hilarity that ensues. Pulitzer Prize winner Richard Russo crafts a biting family saga in upstate New York with his famous character Doug Raymer at the center. 12:15 p.m. / Aug. 10. William Heyen considers the world’s legacy of destruction in this collection of his poetry, featuring past poems and 50 pages of new work. Susan Southard digs deep into the aftermath of the bombing of Hiroshima and the people it affected in her 2016 Chautauqua Prize finalist. Pulitzer Prize winner Dan Barry recounts the tale of a group of men in Atalissa, Iowa, who were abused by their employers until a local journalist told their story. National Book Critics Circle Award nominee Ann Patchett spins a sweeping, multi-generational family story — one that begins with a small, isolated incident.